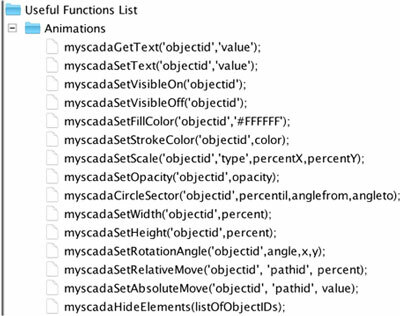 You can use declared view variables directly in animations and effects. 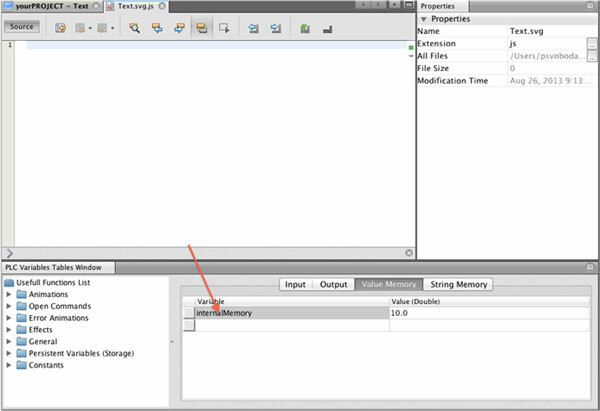 To link the view variable with an animation, use the equation editor like with regular PLC tags. 1. 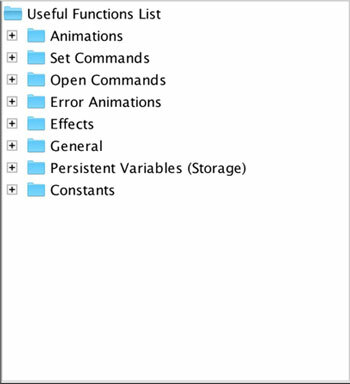 Let’s show the value of the Value Memory Variable in a text element in your view. 2. Open the Script window. 3. In the Value Memory tab of the Variables window, create ‘InternalVariable’ with a default value of 10.0. 4. Switch back to the view you are editing. 5. 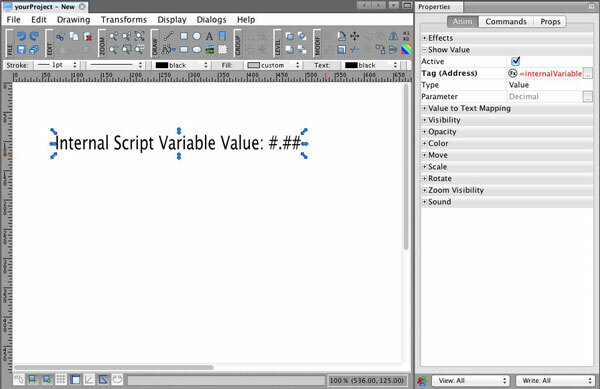 Create a text element in your view, click on it, and create an animation with a memory variable by typing “=InternalVariable” or selecting memory variable with the equation editor. 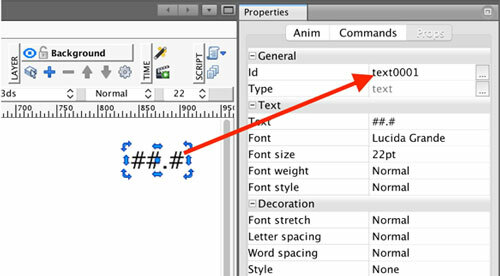 Now select the function you are interested in, and you will see a description and help on the right side of the window. TIP: You can drag the selected function and drop it into your source code.